Over the last ten days there have been a number of shed burglaries with power tools and equipment being targeted. Villages affected include Cottenham, Waterbeach, Oakington, Histon, West Wratting, Over, Longstanton, and Trumpington. Sheds and outbuildings can be overlooked in terms of security measures but it is important to consider even if you only store garden spades etc. inside as these may be used to prise open a door or window in order to break into your property. Many of us have taken steps to improve the security of our home but we often forget about our sheds and outbuildings. Not only are their contents of interest to the potential burglar, garden tools make excellent implements to assist the burglar in gaining entry to your or your neighbours’ property. 60% of all burglaries are from the rear of the house. When thinking about the security of your property, include the garden sheds and outbuildings. There are steps you can take to reduce the risk of becoming a victim of shed burglary. Perimeter security the first line of defence. A strong secure fence or wall will make it more difficult for burglars to get into your back garden. It should be at least 1.8m and you should consider fitting trellis along the top. Trellis is an additional nuisance for an intruder and offers another deterrent. Similarly, thorny climbing plants will also act as a deterrent. Don’t forget to check your local planning regulations before erecting a fence or wall. A thick impenetrable hedge around your garden is just as good as a fence for keeping out intruders. A back garden hedge should be around 1.8m tall and ideally should be dense and prickly – such as pyracantha, hawthorn, or holly. Varieties of roses planted in strategic positions against a fence or wall will look beautiful when in flower and the thorns will deter the potential burglar. If you are laying a garden path consider using gravel or something similar. Walking on gravel is noisy and you’ll easily be able to hear someone coming. The garden gate should be of the same height as your fence or wall and be securely fixed and padlocked. In the front garden, try to keep your fencing and hedges low and keep the front garden open, neat and tidy. The fear of being seen is an important factor when the burglar considers a potential target property. 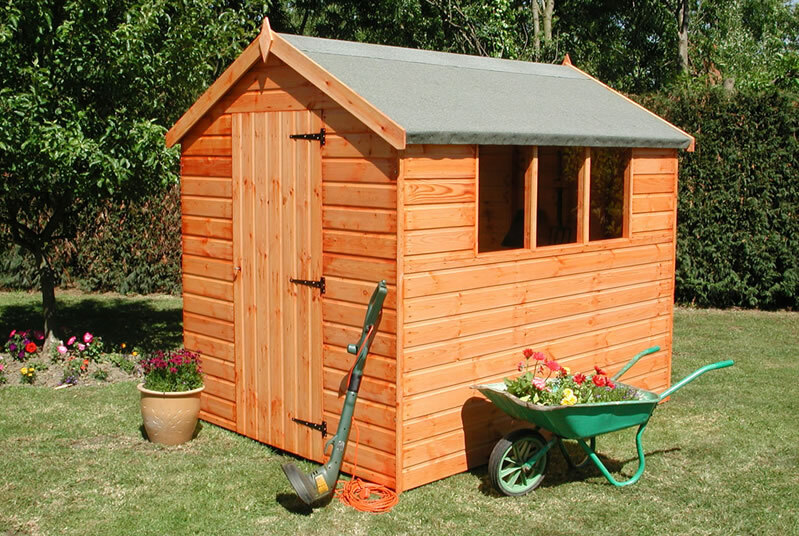 Ensure your shed is of sturdy construction and in a good state of repair. Most sheds are constructed with feather-edge or ship-lap timber fixed to framework constructed of 40x40mm timber. Around the door frame and in particular around the area to which the locks and hinges are fitted – increase the strength of the framework with 50×75 timbers, depending on the existing structure. Add metal grilles to windows using non-returnable screws to secure the grilles in place and consider adding a net curtain to prevent an intruder viewing the contents of the shed. Strengthen the existing window frame as described above in order to fit the metal grille. Secure the door with two substantial padlocks, hasps and staples at an equal spacing, fixed with coach bolts. Use backing plates to re-enforce the wooden area around the locks. Bolt rather than screw hinges into the doorframe. Consider installing an alarm system. There are various types on the market, which would be suitable for a shed – reputable alarm company would be happy to advise you. There are also DIY products you can fit yourself, which will sound an alarm if movement is detected. Install outside security lighting, ideally movement sensitive for the back and dusk to dawn at the front of the property. Personalising tools and equipment with a coding kit or simple paint pen will make them less appealing to thieves. Ensure that all tools and garden equipment are locked out of sight and preferably chained to a surface/ secured in a storage unit, within the shed. Check that your household insurance policy covers theft from gardens and outbuildings. 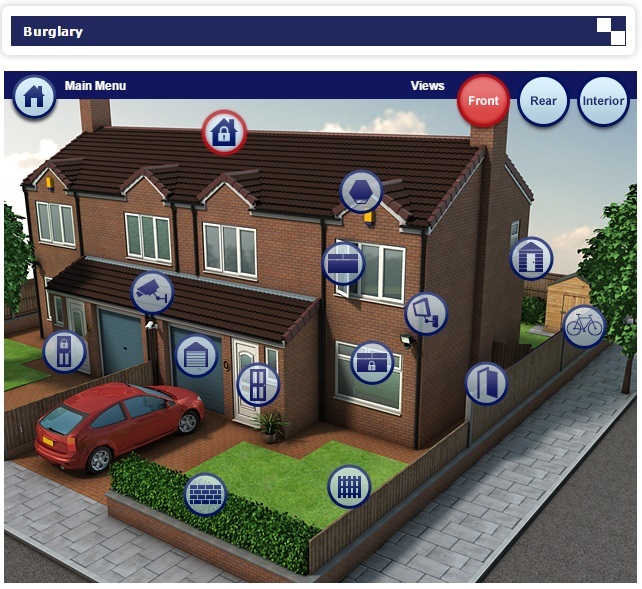 Contact your local Crime Reduction Officer for more information and security advice via 101. Cambridgeshire Constabulary are holding a crime prevention event at Orchard Park Community Centre to highlight security improvements that residents can put in place to reduce their risk of crime. Officers and police staff will be on hand to provide security advice and information. Officers from the County Community Protection Team will be available to give advice regarding scams and online security. There will be demonstrations of security products, plus there will be advice regarding property registration and coding. April Fun Day which will be running from 1:00 – 4:00p.m. approx. at the venue.